These lovely letterpress cards reflect the hope with which we face each new year. Two snowbirds—juncos, in fact—perch close together on a silvery branch, crowned by Rilke's simple invocation. 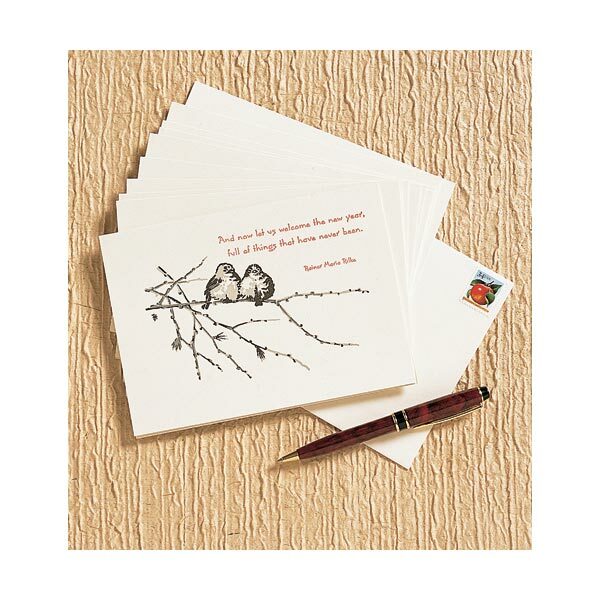 The message inside each 5"x7"New Year's card reads, "May you find happiness throughout the coming year." 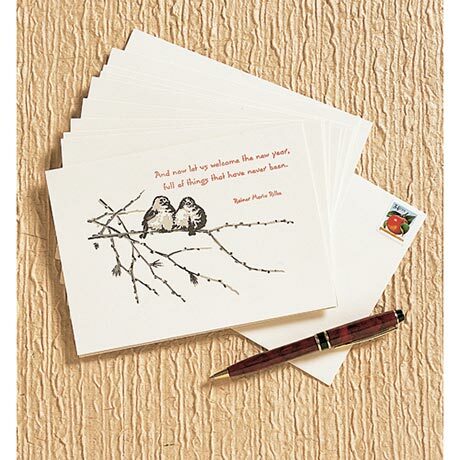 An ideal way to greet friends overlooked in the Christmas rush; also great for thank-you notes. Set of ten cards, with envelopes. Save 10% on 3 or more!